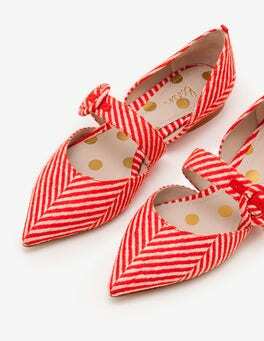 Expertly constructed in Spain, these authentic espadrilles are designed especially for sunny days. We've increased the height of the rope base to give you the lift of heels with the comfort of flats, making them perfect for stylish city breaks. 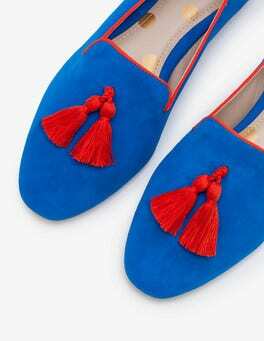 Treat your feet to a bit of fun with these playful slippers. 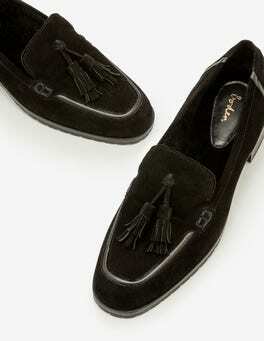 The shape is made for comfort but the details are all about style, from the statement tassels to the contrast piping. Suede and canvas finishes mean there's a look for every occasion. Newsflash – heels don't have to mean sore feet. Need proof? 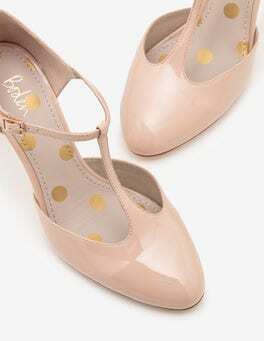 Just turn to our ultra-feminine, vintage-inspired Mary Janes. Textured fabric in a choice of bold finishes covers the statement-making exterior. 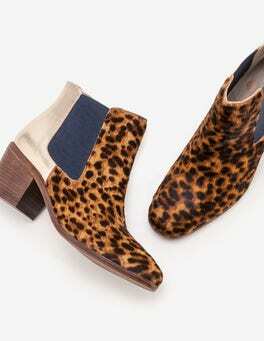 A forgiving block heel mean you can dance all night and still stay smiling. 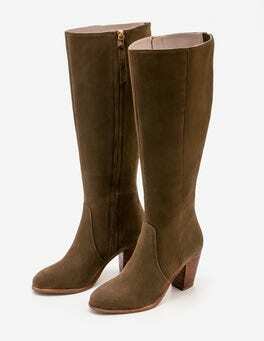 These cowboy-style boots, with a mid-low heel, are ideal for running around town. 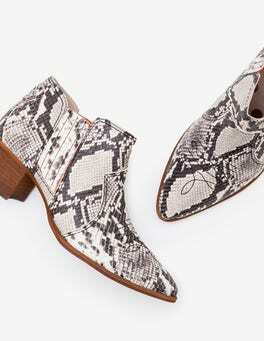 In suede or Italian snakeskin-printed leather, featuring stylish western-inspired embroidery on the toes, they're all set for Saturday nights out. This off-duty essential deserves a place in every man’s casual wardrobe. 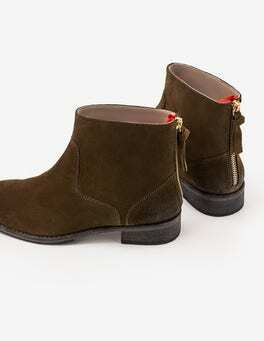 These timeless boots are finely crafted in Portugal from rich suede and feature an authentic crepe sole for grip. The classic design looks relaxed with jeans but can be smartened up with a shirt and blazer. 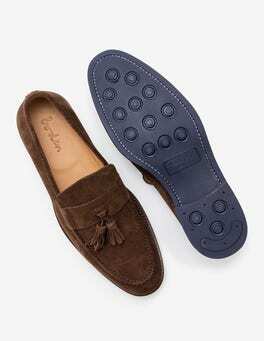 Preppy with turned-up chinos, smart with a blazer and relaxed in jeans – the penny loafer is a shoe that never dates. 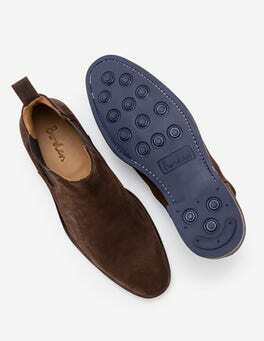 Crafted in Portugal from soft suede and leather, with our signature navy rubber soles, this pair strikes the balance between comfort and class. Wear with or without socks. 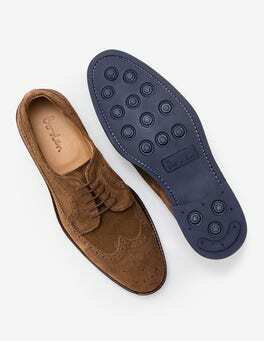 These timeless brogues are comfortable, long-lasting and very much look the part. 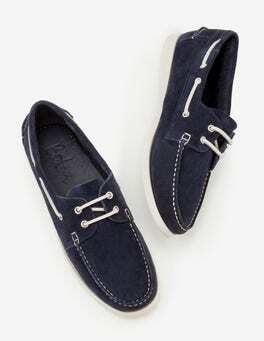 They're hand-finished in Portugal with a leather suede upper and navy rubber sole. 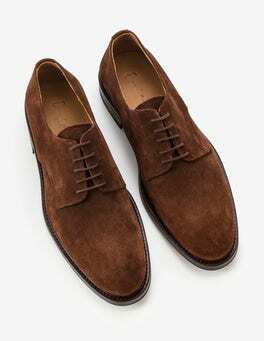 The classic stitch detail means they're sophisticated enough for even the most special of occasions too. Suits you, sir. Our classic shoes are just the ticket for 9-to-5 and weekend jaunts. 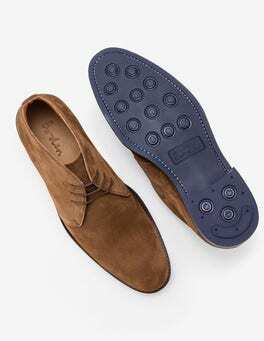 With suede uppers and our trademark navy rubber soles, it’s the quality of this footwear that shines through. Pick the tonal laces for working days and the contrast ones for lazy brunches. 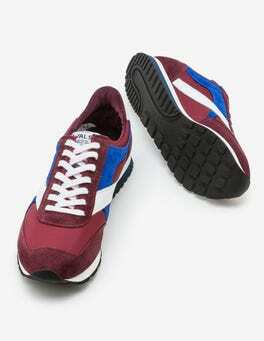 A little bit sporty and with a comfortable cushioned sole, these trainers will be your go-to summer shoes. 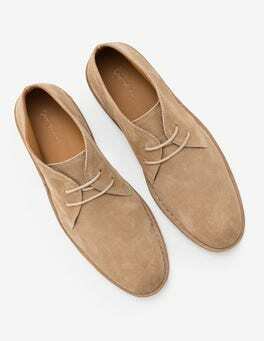 In suede or canvas, they're smart enough to be paired with tailored trousers. 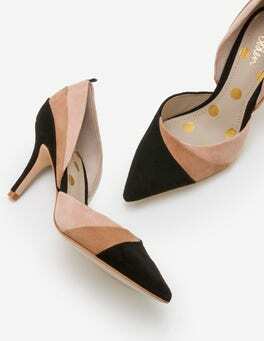 A grosgrain heel tab gives them a kick of colour. 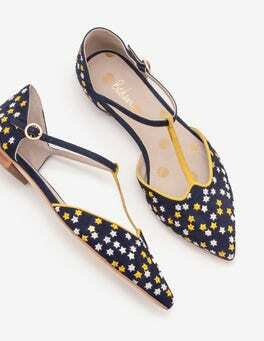 A pointed toe and scallop detailing give these flats a healthy dose of vintage elegance. 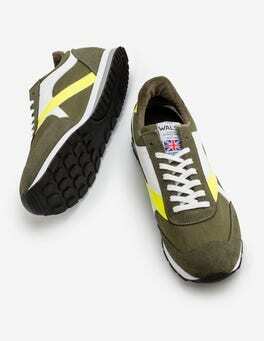 We've given them a signature spotty leather lining for comfort. They make a delicate finishing touch to warm-weather outfits. …The Ensign offers you comfort, stability and durability with a Vibram outsole and a thick midsole for cushioned heel support. 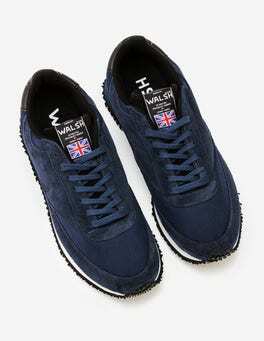 The upper is made from supple suede and British waxed cotton that’s renowned for its water-repelling properties – so now you’ve got no excuse not to get out for that run. 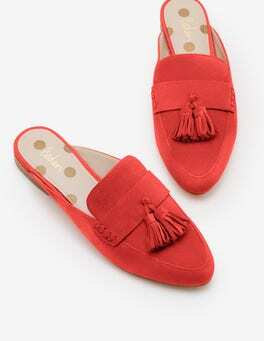 Slip into a pair of these backless loafers and you'll be hooked. Why? Because we're not exaggerating when we say they combine all-out comfort with effortless style. 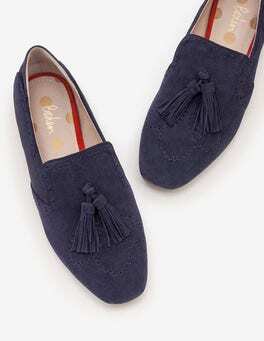 Complete with our signature tassel and made from soft suede, these shoes have it all. Slide-on styling meets holiday chic in these espadrille-inspired sandals. The footbed is suede-lined and shaped for comfort (we've added spots, naturally) and there's rope detailing around the sole. 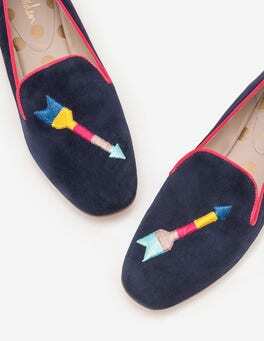 Pick from gold metallic leather, navy suede or multicoloured ricrack. 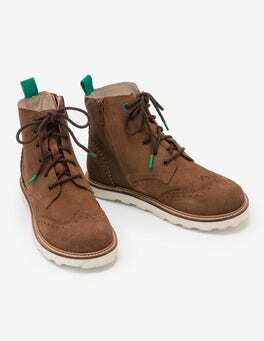 Platform at heel height 2.5cm/ 1"
Throw the rulebook out of the window and pair these high-tops with your smartest work clothing. 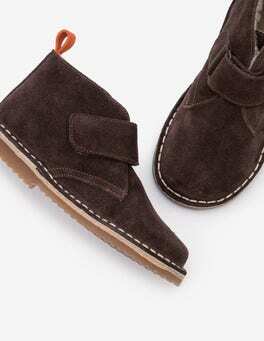 Made from soft suede with a leather lining, they come in subtle colours and feature metallic elastic details. This is streetwear that works just about anywhere. 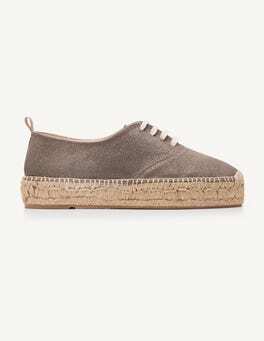 Handcrafted in Spain, these tie-detail espadrilles are as authentically Spanish as tapas and Rioja. 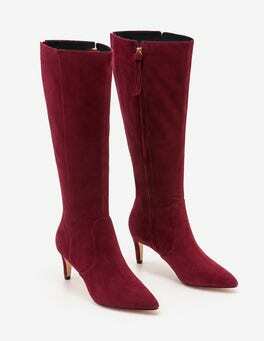 Made from soft suede, they're so comfortable you could flamenco all night in them. Colours include bold red, eye-catching gold and versatile navy or tan, to suit all your daytime outfits. 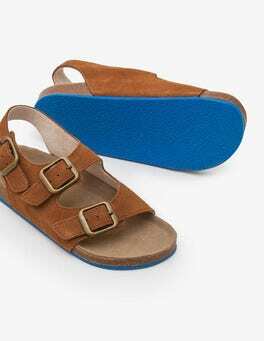 If your go-to kaftan and sunglasses are seeking a travel partnership, these sultry leather or suede sandals want to register their interest. With chunky stacked heels and woven strap detailing, they're vying for a place in your suitcase. 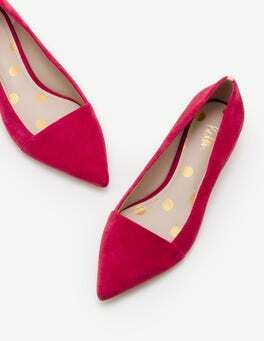 Some occasions are just better with statement shoes. Case in point: these elegant tie heels. 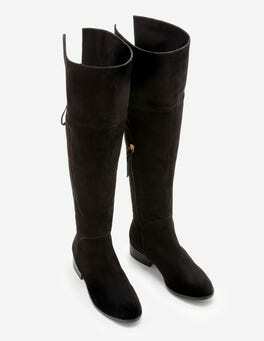 The feminine detail is sophisticated and the soft suede is oh-so-comfortable. Show them off with a knee-length dress during evenings out. Weddings can be perilous for wearers of high heels... But these are the perfect solution. 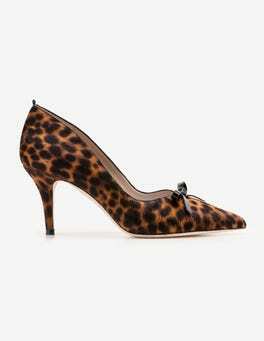 You'll confidently cross lawns and navigate cobbles without mishap (prosecco in hand) in these low block-heel sandals. 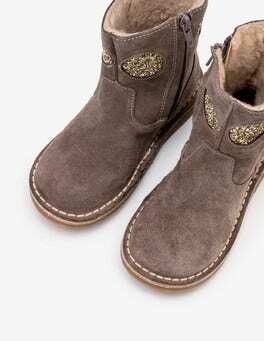 The flower detailing and ankle tie add delicate touches to the suede finish. 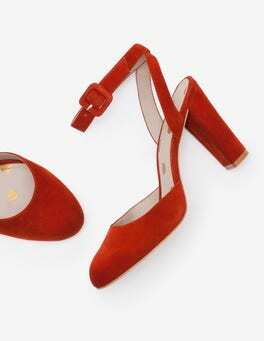 Scallop detailing, soft suede fabric and a slender T-bar strap – say hello to your summer-event heels. 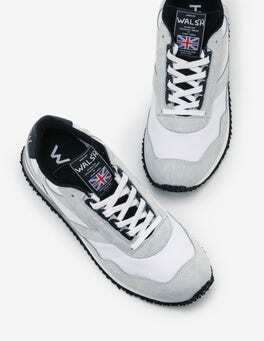 We added a supple leather lining for comfort and a buckled strap to ensure a supportive fit when the dancing starts. 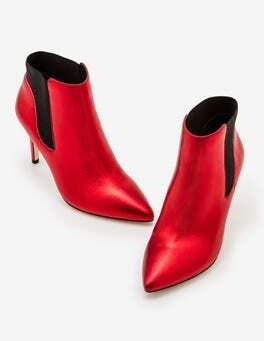 They’re finished with an elegant stiletto heel for that extra dose of WOW. 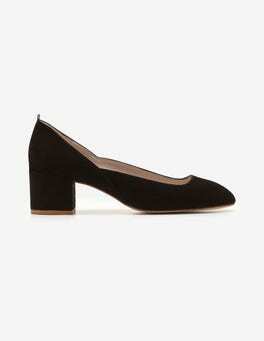 Crafted from oh-so-soft suede, these timeless stilettos make a refined addition to your collection. 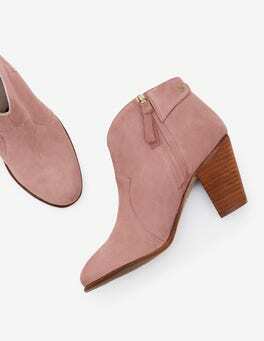 Featuring crossover cut-out detailing and a grosgrain bow tie, they’re at an easy everyday heel height but also work perfectly for those all-important occasions. 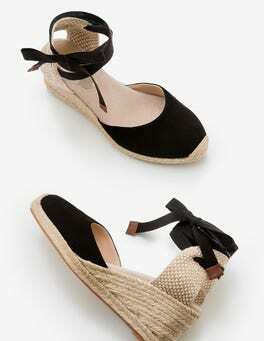 Get ready to dance the night away in these flamenco-worthy wedge espadrilles. Handcrafted in Spain from supersoft suede and with an intricately woven back, they'll bring a holiday vibe to any outfit. 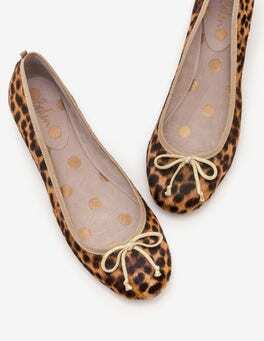 With their mid-height heel and supportive wrap-around ribbons, you'll feel comfortable too. No matter where Mini explorers race off to, the chunky soles and silver leather on these sandals are there every step of the way. 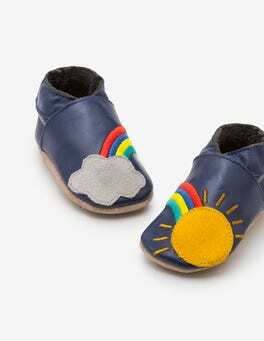 Adjustable straps make room for little feet to wriggle and grow.